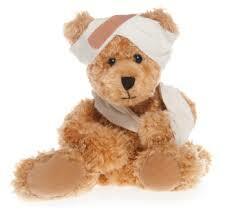 Our experienced personal injury lawyers will help guide you through this process. Our accident team strives to help take the pressure off you and your family, which allows you to concentrate on recovery. Valdez Lawyers aim to get you the financial compensation you deserve and to help you through the legal process. Always try to file a police or accident report, if possible. Always obtain the information of the other party, i.e. driver, store, etc. Do not talk to any insurance adjusters from the other parties insurance company. Do not discuss the facts of your accident with anyone until you have sought consult. Do not sign anything given to you by the other driver or company without consult. Keep a diary of your trips to all doctors, hospitals, therapists, and notes of your pain with times and dates. Keep all of your medicine bottles/containers (as possible evidence at trial). When you return to your doctor for follow-up exams, be sure to advise him or her of the nature of all of your continuing problems resulting from the accident. Advise us of any change of doctor or new treatments. Keep a record of all out-of-pocket expenses, including travel expenses, for medical treatment. Report to our office any suspicious actions, such as someone following you, taking pictures, videos, etc. Keep any neck or back braces (as possible evidence at trial). Copy of the police accident report. Any medical and hospital records. All hospital, medical and related bills, either paid or unpaid (physicians, surgeons, ambulance, hospitals, private nursing care, therapy, domestic help, car rental, clothing, etc. ), and any statements of payment by Medi-CAL. Copies of your automobile insurance declaration page. Copy of your health insurance policy, Insurance Card, or Medi-CAL card. Photographs (of scene of accident, your injuries, your car). Repair estimates and bills on any damaged property. Correspondence with insurance company, insurance adjusters. ﻿﻿Copy of your driver's license and social security card (if possible).